November 1, 2018 has gone down in history as Werner Vogels’ happiest day in 2018. Amazon finally succeeded at replatforming their Oracle data warehouse to AWS-native databases including Redshift. Heartfelt congratulations are in order as this was certainly no small feat! Oracle’s Larry Ellison made it known frequently just how confident he is about Amazon not being able to pull it off. His taunts confirm the audacious nature of the move. The announcement of Amazon’s victory sure stung. Not only does Ellison lose a significant customer but this might have kicked off a much larger movement. Because Amazon is not alone in this. Practically every enterprise in the Fortune 500 is actively looking to replatform out of their on-premises data warehouse into the cloud. In the next 3-5 years, they know, they have to take the plunge. But few have actually a plan they can believe in–just yet. For the longest time, cloud data warehouses have been belittled as curiosity. The two dominant incumbents in this space, Oracle and Teradata, clearly did not consider them true competitors. However, the database landscape has changed drastically in just the past two years. Redshift has made enormous strides. It is increasingly on par with its legacy cousins. Depending on the specific workload, it may even come out ahead.The good news is, we can expect this trend to accelerate. The cloud has created a marketplace that is subject to competition like never before. And competition is what drives innovation–few have embraced this new world like Amazon. Ellison’s cockiness is no surprise. Consider the facts. Amazon’s Oracle plant was a monster of a data warehouse. Curated for probably well over a decade and constantly under active development. Just operating this beast was apparently a nightmare. It is anybody’s guess how many dependencies the team had to untangle or how many lines of SQL code they had to rewrite as part of reworking the 200,000 queries. An interesting twist here is that most of the applications are in-house developments. Amazon has full control of the source code and even operates the infrastructure, again in-house. This is important as we look at the broader picture because neither is true for most large enterprise IT shops. Enterprises have long outsourced their IT operations, including their data warehouse. They often run a large mix of third-party applications with very limited access to internals. A technically already difficult endeavor just got significantly more complex because of the logistics it involves—often across multiple continents and time zones. Few Fortune 500 companies have the funds, the skills, and the perseverance of an Amazon and undertake this kind of transformation. Not only do enterprises need a different way to replatform, they need it now. Over the next decade, practically the entire database market will replatform to the cloud. Many will use this move to leave their current vendors. Critically, they are not looking for a like-for-like solution. Primarily for strategic reasons, they will want to up-level and use cloud-native systems. Their ideal target system would be deeply integrated with the cloud of their choosing. In our work we found, customers feel none of the offerings out there address their needs completely, today. Tedious, risk-laden, and expensive migrations are not a solution. At Datometry we’ve developed an approach to radically reduce time, cost, and risk of these migrations. It is fundamentally different from conventional approaches. Instead of requiring changes to business applications we make vendor-specific features and APIs interoperable—at run time. This leaves both applications and database perfectly intact and unchanged. Think of it as a virtual machine for database applications to run in. 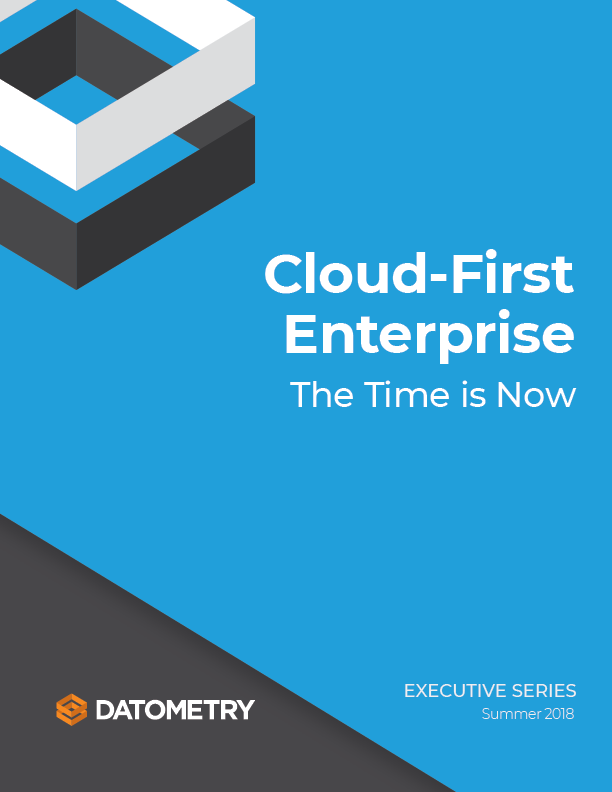 Enterprise can keep the business logic—and yet, move their data warehouse to Redshift. Becoming cloud-native just got a whole lot simpler. We are a proud technology partner of AWS. If you are an IT leader who is looking to move their on-premises data warehouse to Redshift, advance the enterprise, and take credit for it, contact us today to get started with an assessment. Mike Waas founded Datometry with the vision of redefining enterprise data management. In the past, Mike held key engineering positions at Microsoft, Amazon, Greenplum, EMC, and Pivotal. He earned an M.S. in Computer Science from the University of Passau, Germany, and a Ph.D. in Computer Science from the University of Amsterdam, The Netherlands. Mike has co-authored over 35 peer-reviewed publications and has 20+ patents on data management to his name.